On January 3rd, 2019, Governor Doug Burgum will address the 66th North Dakota Legislative Assembly. State of the State addresses aren’t the most exciting things to watch, but we’re here to help! Play State of the State Bingo! 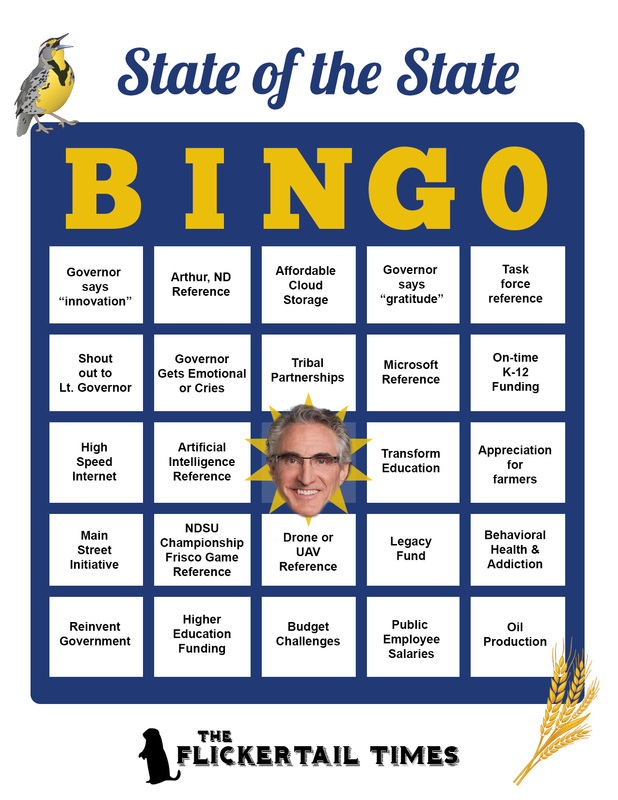 Each time Governor Burgum references or says any of the following on our Bingo Card, check off that spot. Governor Burgum’s State of the State Address can be watched at 1:30 PM by visiting www.governor.nd.gov. Download our official State of the State Bingo Card below and compete against your fellow friends, family, coworkers, lobbyists or legislators! We’ve also made this year’s Bingo card available in PDF format. Grab it by clicking here!